led fairy lights 9 ft. 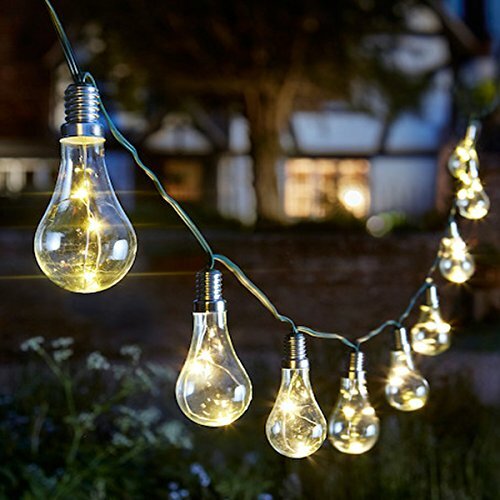 Solar Vintage A19 Bulb String Light will add the perfect ambiance to your back yard or patio. Each set comes with 10 clear bulbs with 5-LEDs in each bulb. The bulbs are made with shatterproof plastic. Solar outdoor string lights 10 bulbs with starry fairly lights inside.